Konnichiwa! Welcome to EIGORU Online English School. I am teacher Rina and I am pleased to be your sensei. 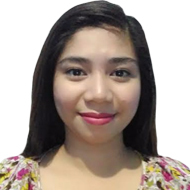 I am a graduate of Bachelor of Secondary Education Major in English and I am a certified licensed teacher here in the Philippines. I can teach you basic English and Advanced English particularly grammar, vocabulary, writing, listening, reading, and speaking. I am very approachable and friendly so you won’t have a difficult time in asking me questions. I will be please to entertain your questions. As for my hobbies and interests, I love watching movies and Korean dramas. I am also fond of playing with my dogs. I can also do baking and floral arrangement. We can talk of almost anything under the sun. I guarantee that our lessons will be fun, simple and exciting!